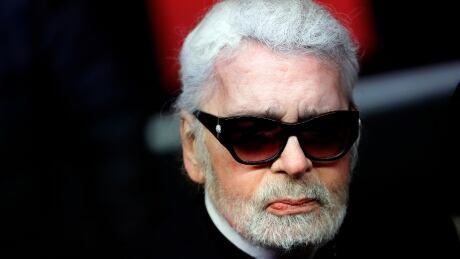 Designer Karl Lagerfeld missed his usual end-of-show bow at Chanel's summer showcase in Paris on Tuesday, as the increasingly frail couturier said he was "tired." The absence immediately prompted surprise and concern about Lagerfeld's health from many fashion editors attending the show at the Grand Palais, which had been dressed up as nn 18th-century Italian villa for the event. Despite the unease created by Lagerfeld's absence, a gentle geometry defined Chanel's summer silhouette on Tuesday — one that riffed on the décor's impressive architecture. The set this season featured a shimmering Italian Chanel villa at centre-stage, with steps that led the gaze down to live palm trees, grass and a rectangular pool. Shivering and dripping guests were momentarily transported away from Paris's subzero temperatures and snow to enjoy a moment of summer bliss, and the clothes' pastel hues glistened in floodlights evoking warm sunshine. Skirts featuring slits and long vertical lines in the centre of the body were a central theme in this season's feminine 62-look collection. Marie Antoinette director Sofia Coppola was among VIP guests invited to admire Villa Chanel's full skirted designs.